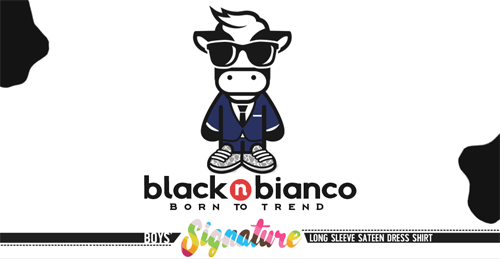 Our boys signature sateen long sleeve light blue dress shirts were specially designed and made for kids. Our sateen cotton fabric has a lustrous surface creating a very soft, smooth and luxurious touch when worn against the skin. Comfort is very important so we designed the shirt to be worn all day in any weather. Breathable soft material that allows maximum airflow. Your little one will love wearing this dress baby blue dress shirt. The buttons feature silver trims on side adding an extra layer of style and personality. A classic dress shirt with a modern flair.